Sid Leiken won nearly every precinct in the 2010 General. One interesting pattern is that Leiken’s vote progressively declined as one goes west. In particular, the relatively Republican North Harlow Road area, great Jim Torrey country in City of Eugene elections, was only lukewarm. 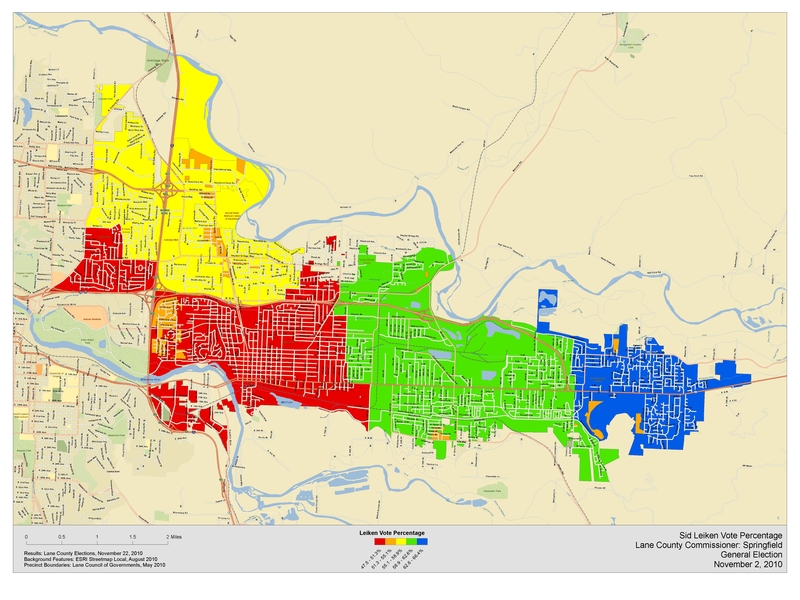 Source of map: Lane Council of Governments (LCOG); Source of data: Lane County Elections. It’s clear from the map that Jay Bozievich won through strong support from the central part of the district. This has been a traditional area of support for pro-business candidates through the years. 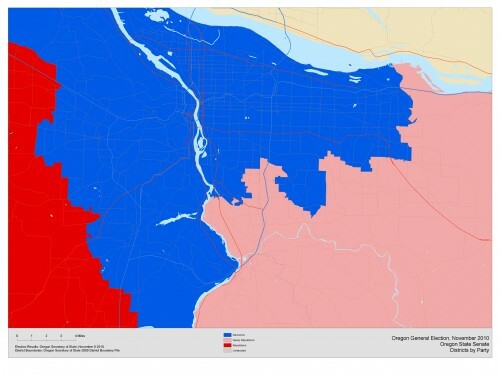 Please also note that Bozievich also won nearly every precinct in the district. This map of Senate races, indicating which were gains for Republicans, should be a source of additional hope for 2012. 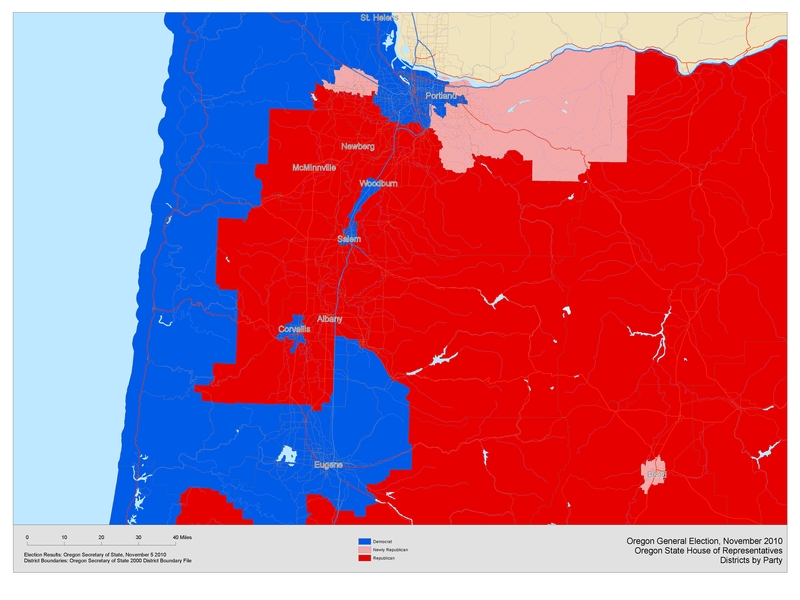 There are a number of districts that Republicans won either in the Senate or the House elections, but not in the other. 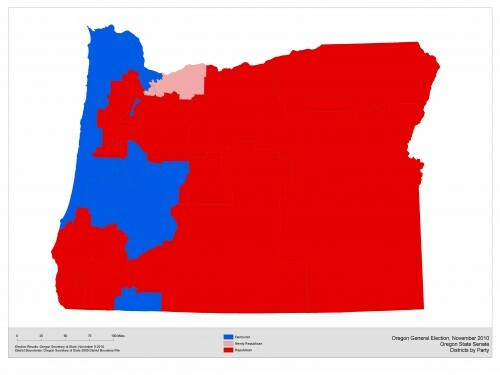 Though the districts will be redrawn in 2011, it appears that Republicans did not gather up all the winnable districts in this one election. It will be hard, given the demographic trends, for Democrats to eliminate all of the vulnerable districts. 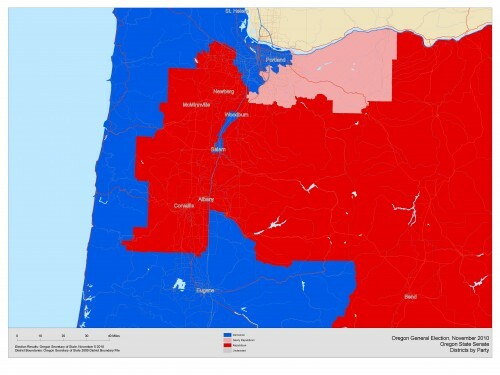 Just as was done with the House district results, more detailed maps of the Tri-County area and the Willamette Valley are forthcoming. There were no switches in the Willamette Valley south of the Tri-County Area. 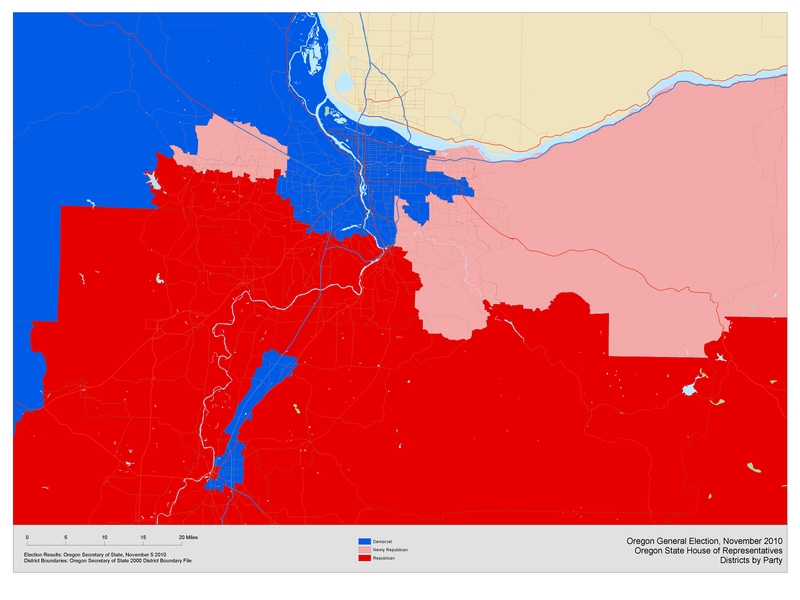 The house districts that switched sides were in the suburban portions of the Tri-County area. On November 2, Oregon Republicans took six seats in the House bringing them up to parity, at 30 to 30, with the Democrats. 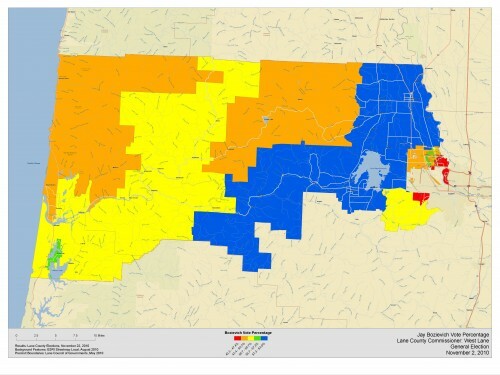 Lost in 2008: Districts 49, 51, 52, and 54.